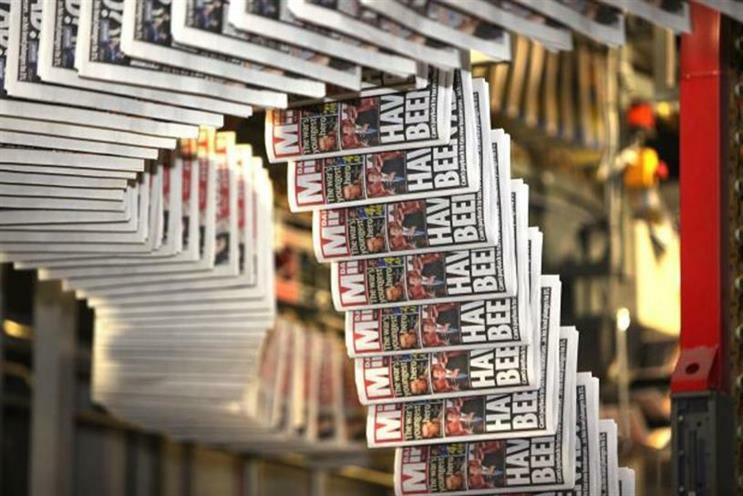 Daily Express owner Richard Desmond has launched a fierce attack on Trinity Mirror, accusing his rival of talking up the prospect of a takeover of his company as a way of "shoring up their share price". Desmond, the owner and chairman of Northern and Shell, suggested his efforts to move sale discussions forward have been frustrated by Trinity Mirror chief executive Simon Fox, and he is "irritated" by comments made by Fox in a weekend interview. It was suggested in the interview that a deal with the Express was being blocked by Desmond’s intransigence over its pension deficit. Desmond said he now wanted the Trinity Mirror chief to "Fox off"
The Express owner, making a rare public comment about his own company’s financial matters, said in a statement: "It is true that an approach was made through Barclays Capital [Desmond’s bankers] about the possibility of the Mirror buying the Express group [earlier this year], but I personally never had a conversation and never heard of any proposal that seemed to relate to the real world. Desmond did not name the global investment house, but Campaign revealed yesterday that he sought the informal advice of Mike Sherwood, vice-chairman of Goldman Sachs. In his statement, published today on Express.co.uk, Desmond said he has "for a year now refrained from commenting on the possibility of the deal, made clear that he has never spoken to Mr Fox on the subject and has met him only twice, once briefly at the Pride of Britain awards and once many years ago during Mr Fox’s period with the ill-fated HMV. "Following Mr Fox’ comments in The Times, Mr Desmond now feels it right to reveal that he has for some time been irritated by what he sees as the Mirror Group’s using his name and prolonging the idea of a deal perhaps as a cheap means of shoring up their share price although that, he feels, would be for the regulator to decide." Desmond added: "For the avoidance of doubt, I have spent 40 years building up the only major private media group in the UK, with massive cash reserves should we wish to make an acquisition, and advertising access to 38.5 million people or 74 per cent of the population of the UK. Through our aggressive pricing policy the Daily Star sales are up some 20 per cent, a rise unprecedented in current times, and the Daily Express may well adopt the same strategy in the New Year. Desmond paid a back-handed compliment to Fox’s "talents as a trained illusionist" – a reference to the Mirror chief’s hobby as a magician – but said "he does not wish Northern and Shell’s name be used in any further ‘smoke and mirror tactics’". He went on: "I have my own plans for the future of Northern and Shell, I have the resources to invest and the determination to expand and grow right across the group. Under the circumstances I would prefer it if the Mirror boss Fox off." Fox said in an interview with The Times on Saturday that there were merits in a Mirror-Express deal: "There are many duplicated functions, and scale does matter. National advertisers need scale, their customers are all around the country and they want scale in both print and digitally." The Times added that Fox "refuses to be drawn into how negotiations are progressing, but those familiar with both companies say that they are at an impasse, with Mr Desmond refusing to factor the Express Group’s pension liabilities into the sale price".